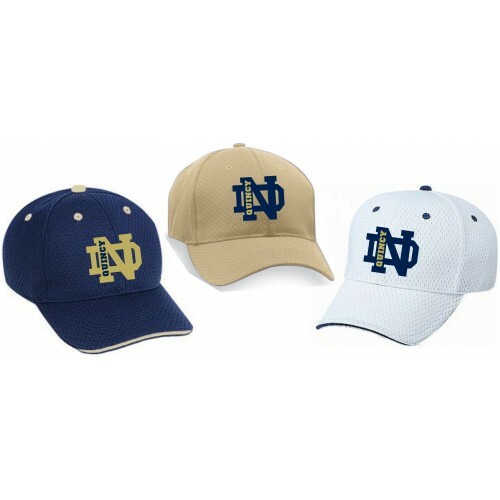 100% polyester baseball hat with your choice of Quincy Notre Dame logos on front. 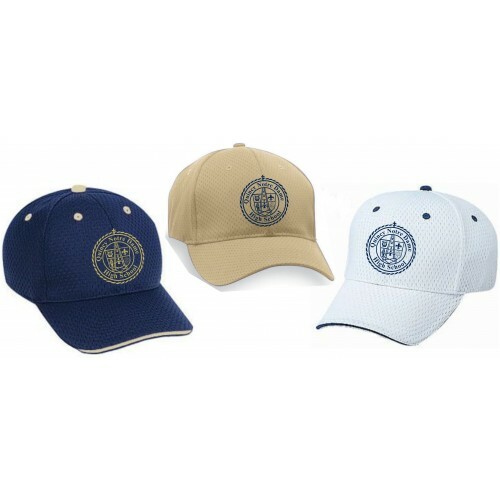 Structured six-panel cap that is low-fitting and has the logo on a firm front panel. A great way to show your QND spirit! Complimentary brief label available beneath the logo (Football, Baseball, Soccer, Cheer, Choir, Mom, Dad, etc.) Name personalization available on back for a small extra charge. Adjustable sizing, fits most. Available in Navy Blue, Vegas Gold, or White.